Striking a happy medium between meeting the needs of the customer, while fulfilling all their requirements and taking into consideration space, time and budget restrictions can often be a challenging task. Shortly after the customer’s initial showroom visit, Aqua Warehouse undertook a site survey to fully discuss the requirements needed prior to installation. 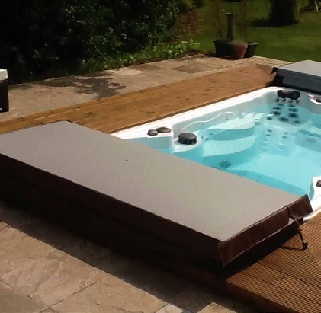 Being a builder by trade, the customer carried out all the initial ground work to provide a pit suitable for the high specification of the Vita Spa XSR to be fitted. It was an important requirement of the customer to totally sink the spa for aesthetic purposes.